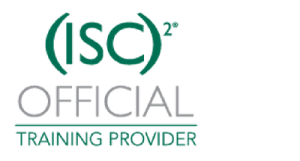 The CCSK Cloud Security exam tests for understanding of the CCSK Body of Knowledge and leads to an individual certification. Therefore, the exam has questions for each individual domain of the body of knowledge. That means that there are somewhat technical questions, as well as management and governance level questions. Many consider CCSK to be a fairly hard exam, even if it is open book. This is mainly because of the mix of topics, and because it does not test much factual knowledge. Instead it tests for conceptual understanding of the CCSK material. I believe that the conceptual level of CCSK is exactly what makes it valuable. It enables people of varying backgrounds to bring together their experiences in making, for example, their cloud risk assessment teams much more effective and efficient. If you want to get a feel for the types of questions in the exam, have a look here. The CCSK examination is a multiple choice examination that you take online. In that online exam, you will get 60 multiple choice questions selected randomly from a question pool. The participant must complete the exam within 90 minutes, and correctly answer 80% of the questions to receive a passing score. Because the exam is online, it is open book. You get two tries for the exam. So, you might consider the first one a ‘mock’ exam. I think the best preparation is to take the exam seriously, but don’t over learn. After all, you don’t really need to memorize standards numbers or abbreviations. There is no maintenance requirement or fee for the certification. It has lifelong validity. As said, CCSK is not an easy exam. The only people that seem to find it not too hard are senior IT management consultants. Because of that, you should study seriously for it. In fact you should consider getting support for your studies. This could be in the form of a study group, or through a professional course. The exam can be purchased independently (here), or bundled with a course. Starting from January 2018, version 4 is the most current one.